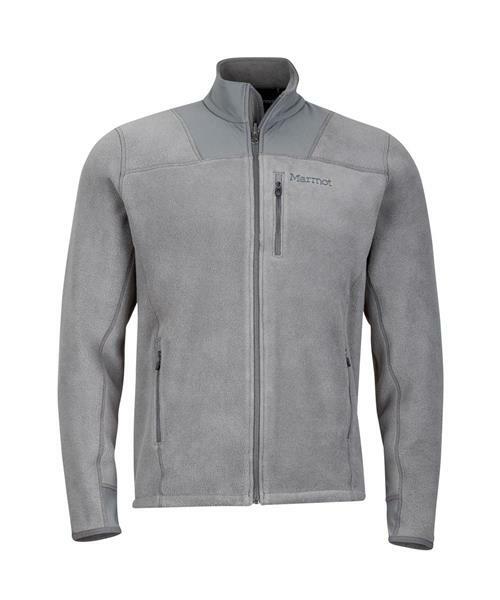 The Bryson Jacket merges warmth and comfort for an all-around zip-up fleece that will accompany any chilly day out. Wearable on it's own, or zipped into an outer shell, the Bryson's performance capitalizes on the enduring success of Classic Polartec?, a versatile weather-resistant insulation ideal for a variety of activities. Fast drying and highly breathable to keep you comfortable, the lofted knit construction of the polyester fibers is the backbone of its thermal efficiency and outstanding functionality in cool weather. Durable and soft, this jacket has fine-tuned details like a wind flap behind the front zipper, chin guard, two hand pockets and bonded zipper chest pocket.